Below you will find links to our Sponsors (all of whom are also members of the club) as well as local organisations and individuals who are friends and trusted by BTS. Data Kraken consultancy focuses on setting up your business’s databases with an emphasis on business intelligence and insight. Using Business Intelligence to analyse past and present business metrics can give your business re-assurance that your database is the right one. Data Kraken implements the architecture required to empower you to ultimately minimise your business’s leaps of faith. Frog Bikes are high quality lightweight and affordable kids’ bikes, specifically developed with smaller riders in mind. Chat to the chief frog, Jerry, or visit our website at Frog Bikes to find out more. Bike Box Online is the largest UK company specialising in bike box rentals and sales. We only stock top quality, hard shell boxes, including our own design – the VeloVault. Our team are all passionate cyclists and triathletes. You can collect and return your boxes from your local hub or if you’re busy then we’ll happily courier it to your home or work address. We can even pack it for you if needed. We also offer a bike shuttle service collecting and transporting your bike to your race destination. Meaning that you can spend your time concentrating on your race preparation. The Arctic One Foundation is not just about raising money, it is about getting people of all abilities Involved and Active in the Community and introducing them to new opportunities in Sport. We believe that everyone has the ability to enjoy sport in some way and that everyone should be given the opportunity to take part in sport. 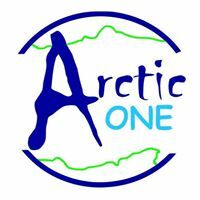 We hope that in some way you will get involved with Arctic One’s Projects and Events and help make a difference.